Grenache is a wine I rarely order. To me, when it's good, it's meh. I like Grenache rosé, but too often I find varietal Grenache red wine to be high-alcohol fruit punch: nothing wrong with it, but I can drink better. When Grenache is great, though, it's phenomenal. It's like a great Pinot Noir in that it's medium-bodied, not overpowering, but with pretty fruit and good complexity. Ordinary Grenache is a change-of-pace wine for fans of Zinfandel and Shiraz. Great Grenache is very rare, but it's special. "John Alban told me, 'Everybody wants to make Pinot Noir. It's an overindulged princess'," said Richard Betts MS, who sold some other wine projects to buy an old Grenache vineyard. In contrast, great Grenache is a commoner who grows up to be queen. I'll never forget the first time I had Château Rayas. I didn't know Grenache could be that good. But Rayas averages $680 a bottle on Wine-Searcher, and that price is actually going up with each new release. The price for Rayas gives a little context for the five outstanding Grenaches I'm about to recommend. These are high-end wines from old vines on special soils. In one case, the vines are believed to be the oldest Grenache vines in the world. They're in Australia, where the grape was first planted in 1838 on soils so sandy that phylloxera, the plague of old vines everywhere, could never get a foothold. Wine Australia held a tasting in San Francisco last month of 12 special Grenaches from McLaren Vale, where some grow on soil so sandy that it supports almost nothing else but rye grass, and Barossa Valley, where 19th century growers planted Grenache on soils to poor to support Shiraz. With apologies to Barossa Valley, one thing that was clear is that McLaren Vale is really special for Grenache, whereas in warmer Barossa it's just interesting because the vines are old. Barossa does have more of them: 150 hectares of vines at least 70 years old, compared to 70 such hectares in McLaren Vale. None of these old vines in either region are commercially sensible. Growers who wanted to make money pulled out the Grenache and replanted with Cabernet or Chardonnay years ago. 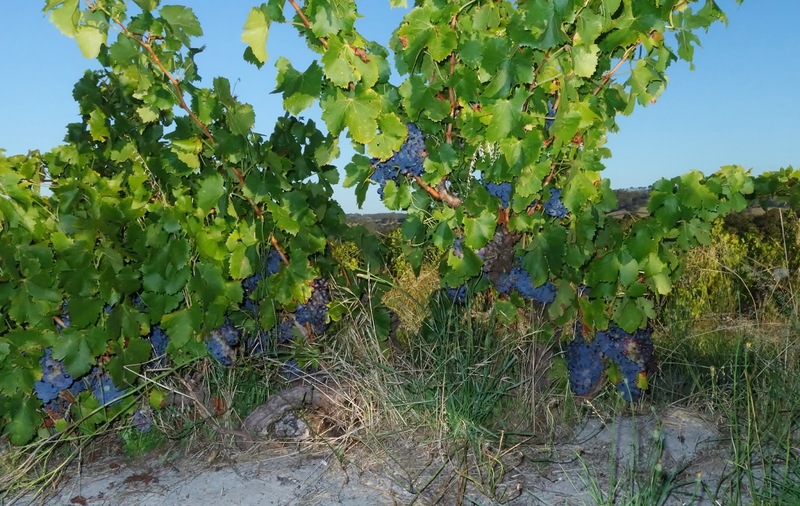 Yangarra gets 1/2 ton of grapes per acre from its "High Sands" Grenache vines. "The vineyards that are left are because of the stubbornness of the growers, which is why the wine has a soul," said Yangarra winemaker Pete Fraser. Fraser said Grenache needs to be treated delicately, like Pinot Noir, but usually it's not. "(South African winemaker) Eben Sadie said, 'We make Grenache more like you steep a tea than like you extract a coffee'," Frasers said. "It's not one of those varieties that's going to get sabotaged by big wine companies. They don't know what to do with it." The following five wines are really special: some of the best Grenache you'll ever have outside of Château Rayas. They're not cheap, but you can buy one bottle of all five for less than half the price of one bottle of Rayas' current release. I don't know where you're finding your poor Grenaches but it's one of my favorite grapes and it's made in a pile of regions around the world, even in the SF Bay Area as I remember the Grenache from Broc Cellars being quite solid. And it's not just old vines that make the best Grenache wines. Even younger it does well as, like any grape, it's a matter of understand the specifics of that grape.